The Fogo de Chão Churrascaria Brazilian Steakhouse dining experience is based on the centuries-old gaucho tradition known as churrasco, the gaucho way of roasting meats over pits of open fire. When you visit them to dine on your birthday they will give you a FREE Dessert of your choice! They are known for their Fogo de Chão Signature Papaya Cream! YUMMY – YUM – YUM – YUM! We are happy to offer a complimentary dessert for anyone celebrating a birthday. We truly enjoy celebrating with our guests! Be sure to let your server know you are celebrating and they will make arrangements. 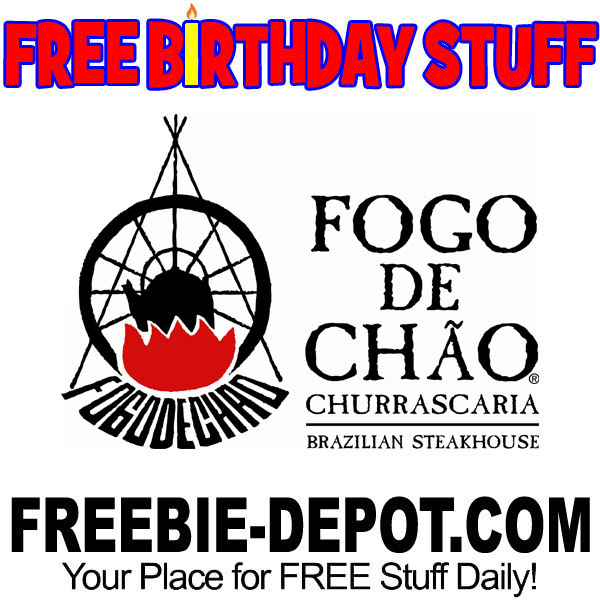 We went to Fogo De Chao compliments of our son who lives in Sao Paulo, who treated us for my birthday and Fathers day. So very delicious, The staff was wonderful. So friendly and kind. When we were finished, my husband remarked that our son had sent us here for my birthday and Fathers day and next thing we knew, here comes a big piece of chocolate Mousse cake with a big strawberry with a lit candle in it and Happy Birthday written in sauce around the plate. The first time visit. I will never forget it. AMAZING PLACE!! I totally recommend going to Fogo De Chao :) my first time going there and I had an amazing experience unforgetable. For my 20th [Golden] Birthday I reserved online for my father and myself & had the best time. Amazing food & I received a free dessert; their turtle chessecake is excellent. I received a $25.00 gift certificate for my Birthday, how does it work?